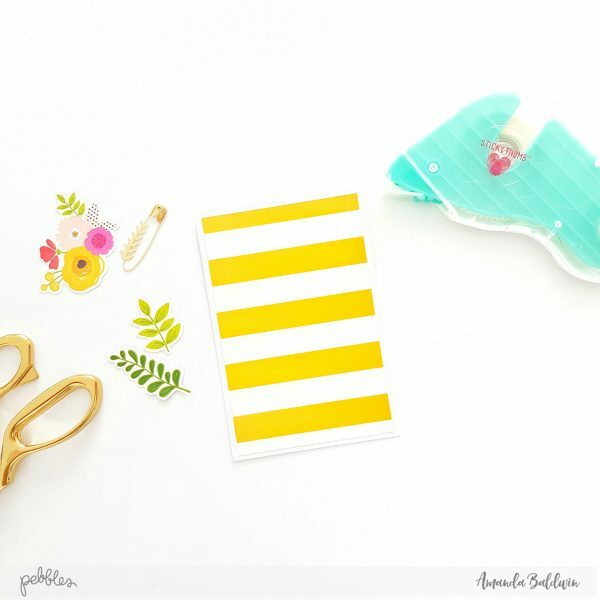 Teacher Appreciation with Amanda Baldwin - Pebbles, Inc.
Amanda here for another super sweet, but oh so easy gift idea! This week is all about Teacher Appreciation, and as a teacher myself, I can’t begin to tell you how wonderful it is to receive a gift made from a child’s hand! Hence, today’s post is super simple because I had my 5 yr old son make it for his school teacher! Yes, it’s that easy! So let’s get started! 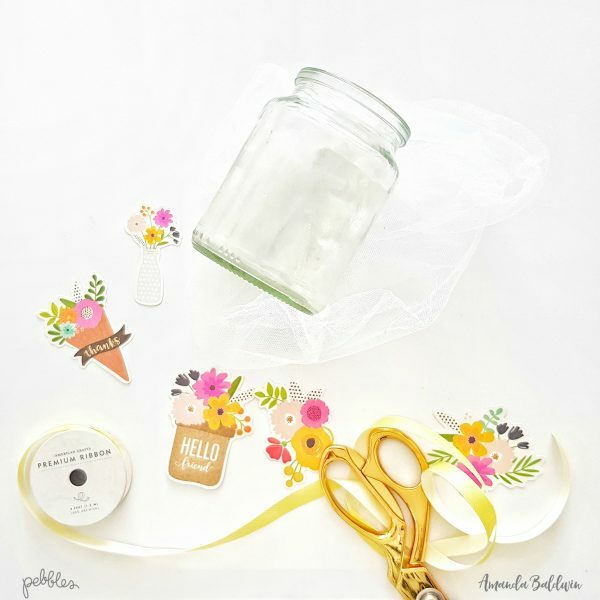 Have your child wrap the jar with the netting, tie the ribbon in a bow and accessorize with the ephemera. 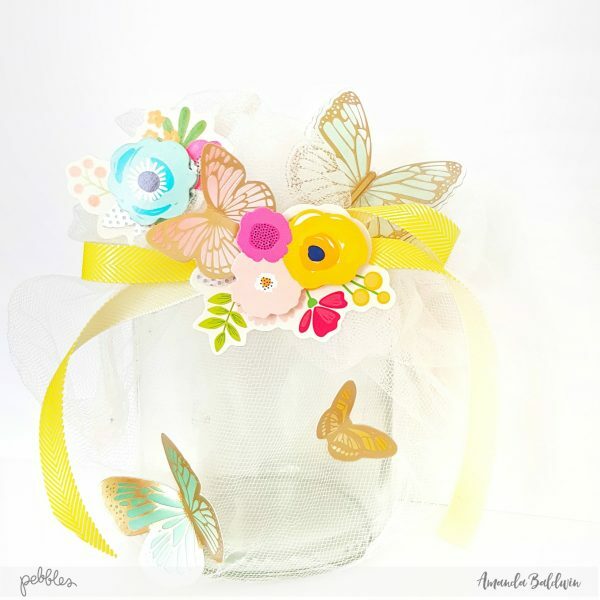 Add an extra ‘special’ detail with a layered butterfly sticker, as shown below…..
Isn’t this sweet?! Have your child select some flowers from the garden and arrange them in the vase, while you assist with cardmaking! Start with a simple 6″ x 4″ white card. Trim pattern paper Citrus Sweet to size 5 3/4″ x 4 3/4″ and adhere to card front. 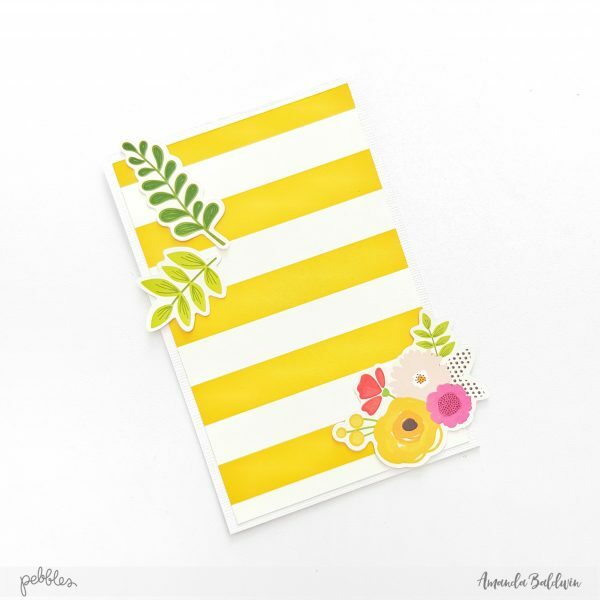 Attach ephemera leaves and blooms as shown below…. Cut apart pattern paper Just For You and use the woodgrain thankyou tag. Mount it with adhesive foam dots for added dimension. Embellish with a couple of 6 x 12 Cardstock Sticker butterflies, and finish with a bow! Super simple, but seriously sweet! Didn’t he do a great job?! An absolutely darling gift that any teacher (or Mom for Mother’s Day) would love to receive from your child! I hope it has inspired you to spend a little creative time with your children too! (It’s never too early to start them on the crafty path) I’d love to see their takes on this lovely gift – so please be sure to share them with us on the Pebbles Inc Facebook page!